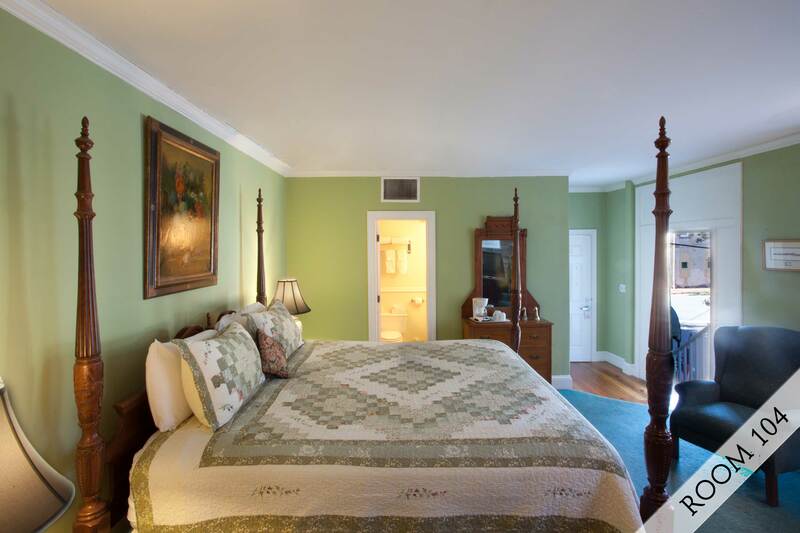 This King size room with Colonial style furnishings and a four post bed, is up one flight of stairs and features a private exterior entrance. The windows in this room overlook President Street. 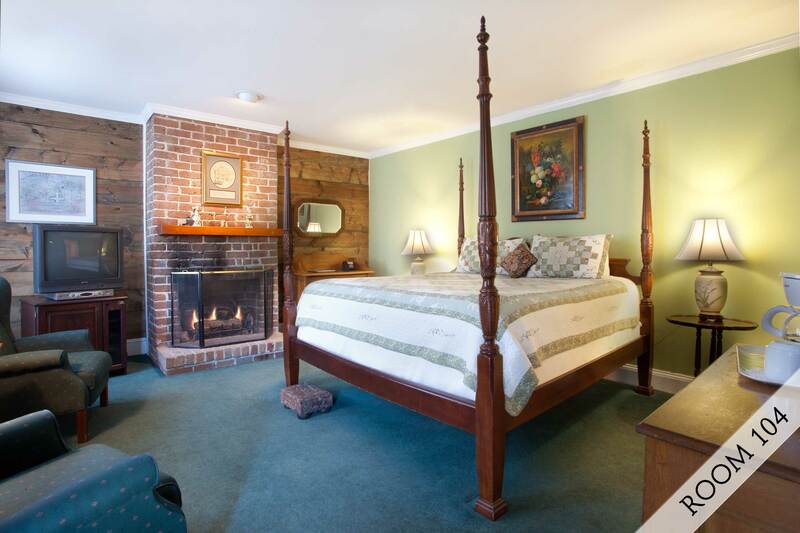 The room has a gas log fireplace and a private bath with a shower / tub combo.